The next UPSA meeting will be held at the Great Lakes Sport and Rec in Escanaba, Michigan on February 9, 2019 at 10:00 AM EST (9:00 CST). At this time invited guests are NRC Commissioner Dave Nyberg and new DNR Director Dan Eichinger. We would like to congratulate our president, Tony Demboski, for being honored by the Michigan Natural Resources Commission for his lifetime commitment to conservation. Tony was honored Thursday, December 13 at the commission's regular monthly meeting in Lansing. Congratulations go out to JR Richardson who was named the UPSA Conservationist of the Year at the last meeting at the William Anderson Sportsman Club. UPSA held their quarterly meeting at the Great Lakes Sport and Recreation Club, in Escanaba on the 14th of April. Guests were JR Richardson and John Walters, from the Natural Resources Commission, Scott Dianda, Sara Cambensy and Beau LaFaive, from the State House of Representatives. Tony Demboski reported on some of the meetings he had attended since the last UPSA meeting. Election of officers was held and all officers were reelected. A request was made to submit nominations to submitted for the next conservationist of the year. I encourage all hunters to attend the CWD meetings that are set up, so the public can learn more about this terrible disease. This disease could effect the way we hunt in the future. The UPSA recently honored John Matonich, a former Natural Resource commissioner who served for two terms with the last term as the Chairman. He placed a lot of effort to see that the Upper Peninsula received as much attention as the rest of the State. He will be really missed by the Upper Peninsula Sportsmen's Alliance and the citizens of the Upper Peninsula. We thank you, John! UPSA President Anton Demboski (right) presents John Matonich with a service plaque. Tony Demboski, President of the Upper Peninsula Sportsmen's Alliance and member of the Upper Peninsula Habitat Work Group, presents checks from UPSA Membership to J.R Richardson, member of the Natural Resources Commission and Chairman of the Upper Peninsula Habitat Work Group, in the amount of $12,400 to be utilized to carry out and continue the work that is critical in attempting to improve our wintering deer yards. The group is implementing Phase Two of this project. The Upper Peninsula Sportsmen's Alliance has presented its first "Outstanding Conservationist" award to U.P. Whitetails Inc. co-founder, Alan Ettenhofer of Escanaba. 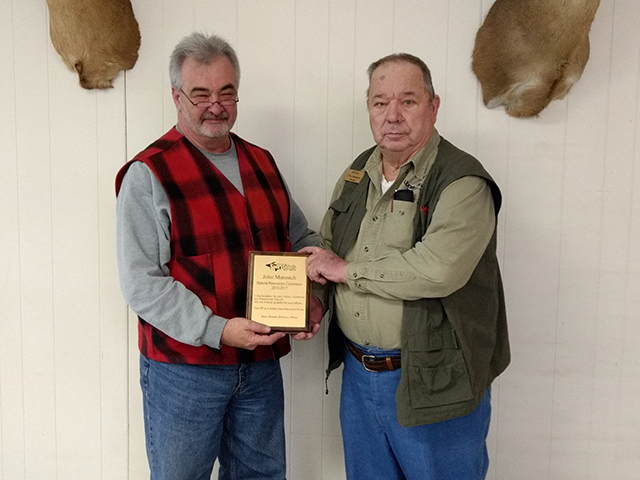 The award was presented today at a quarterly UPSA meeting at the William Anderson Sportsman's Club in Hermansville in Menominee County. Ettenhofer, who serves as treasurer of U.P. 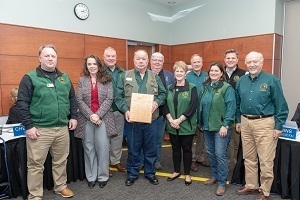 Whitetails Inc., was given the award in "deep appreciation" for his vision, dedication, perseverance and guidance for wildlife, habitat enhancement and chronic wasting disease (CWD) education and prevention Alan Ettenhoferwork. "Without your efforts, the Upper Peninsula would not be what it is today," the award plaque states. Ettenhofer has amassed numerous accomplishments and has made significant contributions to a wide range of projects. He helped form seven U.P. Whitetails organizations. He serves as chairman of UPSA CWD committee. He has been a leader in educating the public on CWD, including producing a radio public service announcement and testifying before the Wildlife Committee of the Michigan House of Representatives on the problem of potential importation of CWD-infected, improperly processed, deer to Michigan. Ettenhofer has been a leader in securing grant funding to enhance white-tailed deer habitat in the Upper Peninsula. Among these projects, habitat was improved along the Whitefish River and in the Arnold area of Marquette County. Tree planting efforts have also been undertaken via the Forestland Group and Marquette and Delta counties conservation districts. Grant money has also helped fund deer trapping and tagging work. "Al is a tremendous and tireless worker for conservation and wildlife in the Upper Peninsula," said Tony Denboski, UPSA president. "He is a fantastic choice for our first-ever 'Outstanding Conservationist' award." Attendees at today's UPSA meeting included state Rep. Scott Dianda of Calumet, Michigan Natural Resources Commission Chairman John Matonich and Michigan Department of Natural Resources Wildlife Division Chairman Russ Mason. The "Outstanding Conservationist" award will be presented annually. The Upper Peninsula Sportsmen's Alliance was formed in 1982 to unite sportsmen's groups in the region for a common cause. Today, the group is composed of 57 clubs and businesses, representing 49,000 members. The alliance's mission is to be the voice of U.P. sportsmen and outdoors users to promote, foster and advance the outdoor recreation experience, encouraging conservation of natural resources and the environment to perpetuate the direction of management and use, for the benefit of future generations by educating UPSA's members, youth and the general public. The organization cooperates, when appropriate, with local, state and federal resource management agencies, encourages communication with the DNR on policy issues and respects the rights of landowners. Would like to see more attendance at these meetings, we only meet on a quarterly basis. UPSA is moving forward in making recommendations to the Department of Natural Resources on the subject of Game Species Management on state owned land that has been purchased with game funds. We strongly believe that game purchased land should be used to enhance wildlife and game species. We need to amend the Forest Management Plan to include management, Aspen rotation, and permanent protective lands. Well known game biologists that we have conferred with agree with the suggestions that UPSA is making. Updates on this subject will be printed. The Upper Peninsula Sportsmen's Alliance held its quarterly meeting in Escanaba on the 11th of October. Tony Demboski, president, announced to the membership that UPSA has entered into a partnership with the Michigan Department of Natural Resources to develop and recommend policy in the management of state properties in the Upper Peninsula that have been purchased with game funds. UPSA believes that properties purchased with game funds should be managed for game species. UPSA is forming a committee of members with years of experience in Forestry and Wildlife so that each property can be evaluated and recommendations can be made. Our own Tony Demboski, President, UPSA has been invited to take part in a committee, sponsored by the Natural Resources Commission, and chaired by the Chairman, JR Richardson of a Habitat Work Group to enhance deer winter habitat. The workgroup's goal will be to develop and implement a cooperative and comprehensive scheme for prioritizing and managing the deer winter complexes across the UP. This scheme will include consideration for the need to generate timber production, enhance habitat values and maintain ecologically sensitive processes. While there will be DNR involvement, this workgroup will function largely independent of the DNR. With the right personnel involved, this group can make a real and positive impact on the resources that define us as a UP Society. The Michigan Board of Canvassers will be asked to approve the form of a petition for a citizen-initiated law, called the Scientific Fish and Wildlife Conservation Act, when they meet Monday December 2. The proposed act would protect the Natural Resources Commission's ability to name game species and issue fisheries orders, protect free licenses for active military members, and include funding for rapid response activities to keep Asian carp out of Michigan waters. Our rights to hunt, fish and trap are under attack like never before in Michigan. The Washington based Humane Society of the United States, the largest anti-hunting organization in the country has set its sights on Michigan with not one, but two ballot initiative referendums seeking to repeal pro-hunting legislation. One thing that can defeat the anti-hunters is a concerned effort by Michigan's 1.2 million anglers and 775,000 hunters and trappers is to get the word out to Michigan's non-hunting and non-fishing populace about why wildlife management by a popularity contest is dangerous for conservation and wildlife. This fight is about more than wolves. This goes to the core of how we manage wildlife in Michigan, the North American Model of Conservation, and our rights to hunt, fish and trap. If Michigan's hunters, anglers and trappers get active and engaged, we can show we are a sleeping giant and win. If we stay on the sidelines and say "its not my fight" then we don't deserve the rights that we will all lose. It is up to us. Talk to your friends, family, clubs and organizations about what is going on. Submit letters to the editor of your local newspaper. Print flyers and fact sheets and post them in legal public places and bulletin boards. Ask local businesses if they will display flyers. Distribute the flyers at public functions. If you see HSUS's paid signature gathers, politely ask their audience to decline to sign and explain why. If you hear their signature collectors lying, politely refute them and tell the truth. Gentlemen: A group called Keep Michigan Wolves Protected is starting a petition drive to force a referendum on whether or not the new law making wolves a game animal should stand. With only 225,000 signatures they may be able to get this on the November 2014 ballot. All I know so far is what I read in the Escanaba Daily Press. This is very scary!! All the wolves are in the Upper Peninsula and almost all of the voters are in the Lower Peninsula. I suggest we start passing the word and begin a dialog on how we can best combat this. 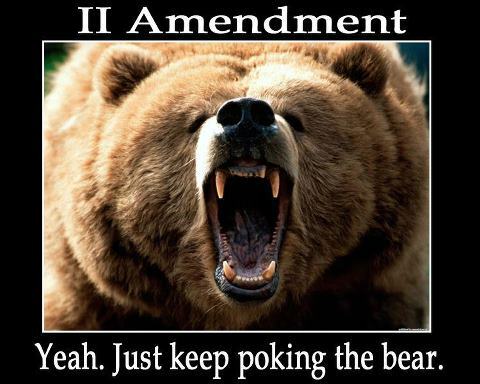 The Antis have been losing in the courts so they are switching gears. This could be very difficult to counter. If all outdoorsmen get their heads together we might be able to counter this but like I said this is really scary!!! If you know key people in other organizations that may have some ideas on combating this please get in contact with them. MUCC, Farm Bureau, your congressmen, other sporting clubs? We need to find out more about this threat and find ways to combat it before it blows up on us. Check out their web site. It looks like they are well-funded, with lots of outside support, and very well organized!!! Also check out the petition and the instruction sheets (attached). They definitely mean business! To be the voice of the U.P. sportsman and outdoor users to promote, foster and advance outdoor recreational experiences and encourage conservation of the natural resources and the environment to perpetuate the direction of management and use for the benefit of future generations by education of it's members, the youth and the general public. The organization shall endeavor to cooperate, when appropriate, with the local, state and federal resource management agencies and shall encourage communication with the Michigan Dept. of Natural Resources and Environment on policy and management issues and shall respect landowner rights".